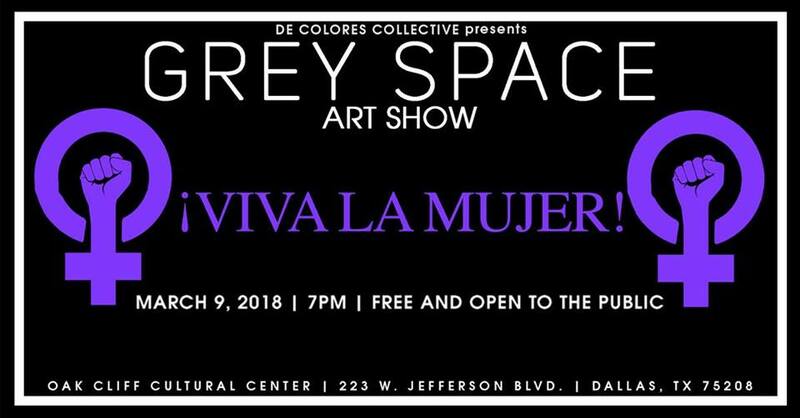 Join us for our first GREY SPACE of 2018, iViva La Mujer! Stop by the Oak Cliff Cultural Center for an exhibition that focuses on celebrating womanhood and femininity. This show will include work by various artists in different mediums. De Colores Collective was launched to provide a multi-faceted platform where inclusivity, expression, conversation, and engagement take place. The platform includes an Art Show, Podcast, and a Party that unites the community at-large through several different outlets. Be sure to follow us at De Colores Collective!